For computer game developers March means one thing GDC, the Game Developers Conference. The event is held in San Francisco and attracts game devs from around the world. It’s a week long conference of industry talks, hang outs, parties, meetings, expo and trade. So basically everything a game dev in any field could want. GDC has expanded along with the industry and last year, for the first time, they introduced a Board Game Day. This year Board Game Day returned and luckily – thanks to a work trip – I was able to attend. As well as Board Game Day, the lads at Shut Up and Sit Down had a board game play area on the top floor of one of the buildings. It was a serene oasis of synthetic grass and picnic tables. Somewhere to hang out between talks or, if you were like me, to sit in silence while the time difference wreaked havoc on your soul. The space was really refreshing. 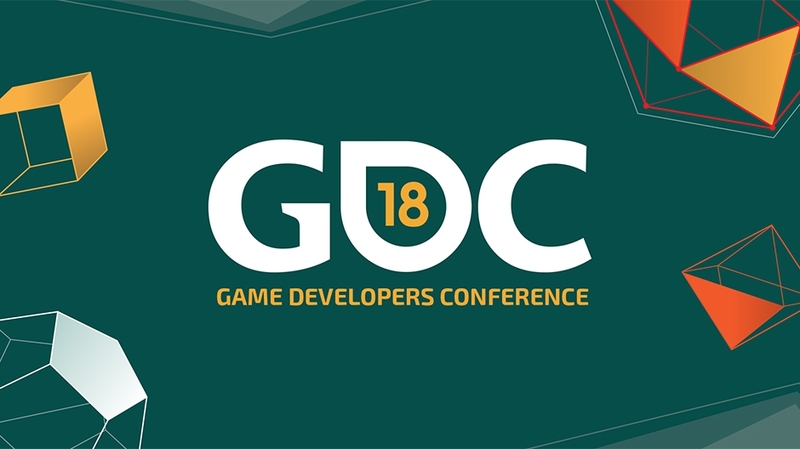 GDC itself is huge and crowded and the calmest place is usually Mild Rumpus – an indie dev area filled with thematic weirdness and new play ideas. This year it was a toss up for which was a better hang out area in between talks, and of course, it was a great space for meeting people interested in board games. The Board Game Day is definitely still in its infancy, to be honest, none of the talks blew me away. There were definitely interesting points to a lot of them. Randy Hoyt’s talk on designing cards and UX for board games had some good points about how to format your game images. And seeing the details of how a huge game like Race for the Galaxy came together from start to end was both encouraging and intimidating. The focus of the lineup was definitely on computer game developers who want to get into tabletop games. Which makes sense at GDC and isn’t an uncommon crossover. As a member of this group I’m definitely in favor of finding more digital to analog crossover rather than vice versa. This led to a number of talks that seemed a little basic from my perspective, though I would stress that it’s mainly from my perspective, if you’re at an earlier stage in your career the topics covered could be really helpful. All in, if you’re a computer game developer interested in getting into tabletop then these talks in general are a great start. If you’re a tabletop game creator looking to get into computer games, I’d suggest checking out Theresa Duringer’s talk. Especially if you’re thinking of going down the VR route. I didn’t get to see all the talks at Board Game Day but fortunately for all of us they’re available for free on the GDC vault. I’ve list below of all the board game talks including links, speakers and overviews from the site for your viewing pleasure. Nuke Possum Springs: A Night in the Woods Design Postmortem by Scott Benson looked at the progression of design ideas, it was really refreshing to see creators admitting to stumbling onto something and it just working so they kept it. Iteration on design seemed to be based largely on spontaneity and a want to try something new. It’s a feeling that really comes across in the gameplay. Night in the Woods is one of the few computer games that I’ve replayed often and had in depth discussions with people about. It’s also the only game I’ve played that hit – occasionally – uncomfortably close to reality. I rarely see aspects of myself reflected in computer games, something I accepted a long time ago, so it was refreshing to see a character have such personal yet universally relatable moments. How To Write Games For The Internet Without Embarrassing Yourself by Leighton Gray is both a hugely accurate and inaccurate title at once. It is about writing games without embarrassing yourself but the talk is much more focused on the application of the meta-modernist art movement in conjunction with internet cultures to create games that convey sincere messages through modern day rampant cynicism. I really couldn’t do it justice to go into detail, and unfortunately the talk is behind a paywall, but I may or may not suggest you Choose one [beg/ borrow/ steal] vault access from a friend to view it. Queens of the Phone Age: The Narrative Design of ‘Reigns: Her Majesty’ by Leigh Alexander was another highlight for me. Unfortunately I didn’t get a chance to see it in person but it’s the first thing I grabbed off the vault. It was funny and insightful, exploring the difference between good characters and good people and explaining how they deconstructed power fantasies and the realities of powerful positions and influence throughout the ages to construct the game narrative. The design balance and narrative working symbiotically to enhance the engagement and game feel as well as examining player reaction to death really make it a remarkable talk. During the conference there are some highlight sessions. One of these is always the Experimental Gameplay Workshop. This year it was in a smaller room than usual (due to construction afaik) and the line to get in started at least an hour and a half before the talk even began. Fortunately I had a copy of my new game with me in my bag and spent about an hour of that sitting on the floor having a playtest with some new folks. Moments like that are always a highlight of these events for me: the new people you meet and become friends with cause you happen to be hanging out somewhere. In the workshop itself Baba is You and La Tabla were the real standout entries for me. Check them out if you have a chance, Baba is You is releasing later this year… La Tabla will be more or less impossible to play but you’ll wish you had one. The new edition of ‘Mansions of Madness’ combines the collaboration and camaraderie of a co-op board game with the complex branching narrative and hidden information of a digital RPG. Creating a game that could only exist as both a board game and an app while feeling as seamless as either of those on their own presented significant challenges. In this talk, Mansions scenario designer Andrew Fischer will share the conceptual knowledge the team learned while tackling this unique cross-genre of games and will detail the successes and failures in applying this knowledge to this game and its expansions. Digital board games are fortunate to ride on the shoulders of giants. Their source material often has thousands of fans, millions of playtime hours, robust rule-sets and well developed game pieces and art styles, all before the digital version has even started. But despite these advantages, bringing a beloved board game to the digital realm has its share of challenges. Players demand features like async play and strong AI opponents that may not have been considered in the original design. Factors like table-talk and tactility, are difficult, if not impossible to reproduce online. But digital adaptations can offer unique features of their own such as real-time bookkeeping, embedded rules references, and contextual prompts. Load up on design tricks from Temple Gate Games’ toolbox for digitizing games like ‘Race for the Galaxy’ that can apply to your projects. When making trading card/collectible object games you need to balance the cost to play vs. the power of those objects, aka your “power curve”. But how that curve looks is very different, based on your game. In this talk, veteran designer Dylan Mayo (‘The Spoils’, ‘Magic’, ‘Pokemon’) will set some base truths and contrast the curves of some of the biggest games in the space, including ‘Magic’, ‘Pokemon’, ‘Hearthstone’, ‘The Spoils’ and ‘Clash Royale’. He’ll discuss the concept of “proportional distance off the curve” and how to apply those findings to your own games. User experience is often associated with digital products, but it is just as much a part of non-digital products like board games. In this talk, Foxtrot Games producer Randy Hoyt explores the many details that board game publishers and producers consider when turning solid game prototypes into great product experiences. Mechanisms are refined so the game delivers its promised experience consistently. Themes may be changed to create better harmony with the mechanisms. Components and artwork are tested iteratively for their impact on usability and for the emotions they produce. Graphic design decisions make rulesets easier for players to learn, remember, and enforce. Come hear Randy share details from his work on award-winning games like ‘Lanterns: The Harvest Festival’ and ‘World’s Fair 1893’, as well as examples from other notable games. ‘Legacy’ games (such as ‘Risk: Legacy’ or ‘Pandemic Legacy’) combine regular board game concepts with new narratives, often featuring choices with permanent consequences. Even for the most well-known games, players are motivated differently when long-term and/or unknown consequences are introduced. As a result, designers are required to view playtests with a different lens, as players often experience dissatisfaction with game elements they would normally love. In this talk, ‘SeaFall’, ‘Charterstone’ and ‘Betrayal Legacy’ co-developer and designer JR Honeycutt discusses the specific challenges of these ‘Legacy’-style games, including the balance between introducing new game elements and maintaining player immersion, the challenge of introducing new narratives in ways that reinforce game play, and the importance of asking players to make irreversible choices. Shut Up & Sit Down’s Paul Dean will lead a panel discussion about the continued growth, development and diversity of board games, including a look at the increasing relevance of app-supported play, the popularity of legacy games and a market that never seems to reach saturation. An experienced panel will take questions from the audience, reflect upon last year and look at the trends that may be ahead. Randomness is not equal. There are a variety of flavors, including white, brown, and pink noise, input randomness, and output randomness. Because the impact of randomness is more visible in tabletop games, using the appropriate technique is critical to generate the desired player experience. This talk examines the different types of randomness, when each is applicable, and how to generate and use them in a board game context.